2 Trump says the midterm elections were a “Big Victory” for him. That’s not true. 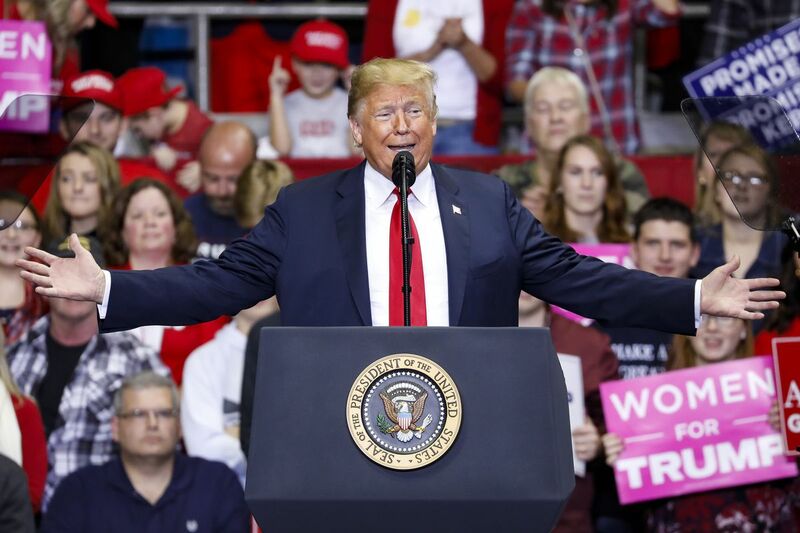 Trump says the midterm elections were a “Big Victory” for him. That’s not true. The Democrats won the House, and Trump feels fine. President Donald Trump feels the 2018 midterm elections were a “Big Victory” for him and Republicans. The results of the 2018 midterms — Republicans kept hold of the Senate and Democratstook control of the House — will usher in an era of divided government that could stifle the White House’s agenda. But President Donald Trump doesn’t look at it that way. Instead, he claims the elections were a “Big Victory” for him and his party. “Received so many Congratulations from so many on our Big Victory last night, including from foreign nations (friends) that were waiting me out, and hoping, on Trade Deals. Now we can all get back to work and get things done!” he tweeted on Wednesday morning, even as some races that could see Republicans lose remain too close to call. That followed a series of late-night and early-morning tweets where Trump showered praise on himself for helping some Republicans win. “Tremendous success tonight. Thank you to all!,” he tweeted on Tuesday. While results are still being counted, Republicans’ losses this year don’t look to be quite as dramatic as those in 2006 and 2010, and Democrats’ majority will likely be smaller. Still, ultimately, Tuesday night proved a problem for Trump. A divided Congress will make it harder for the president to push his agenda forward. Adding seats in the Senate will allow him to keep confirming more judges and perhaps push through some bilateral trade deals with other countries (as he appears to reference in the tweet). But any victory is limited: Trump won’t be able to get any new legislation through Congress without Democratic votes. House Democrats plan to push back on Trump’s foreign policy, for example, and investigate pretty much anything they want. That means Trump’s tax returns, alleged connections to Russia, firing of former FBI Director James Comey, and more will soon be under scrutiny.